While you may not have come across it just yet, baby sign language seems to have become a mainstay of mainstream parenting these days, at least among a significant handful of proactive parents and child care providers. As a trend that has been picking up momentum over the past 20 years, signing with babies is based on the simple observation that children can be taught to use their hands to “talk” long before their mouths can catch up. Sure, you’ve got a ways to go (ie, 8 or 9 months) before your newborn’s dexterity will let her fingers do the talking, but that doesn’t mean you can’t start learning some basic baby signs in the meantime. Here are a few reasons why we approve. Breaking the language barrier. From what we’ve seen in our own children and others (including in Laura’s educational child care center), infant sign language really does deliver on its promise of improved communication. This is a particularly appealing promise for new parents, given that there’s a well-recognized gap between what babies and toddlers want to say and what they are capable of saying. It only makes sense that young children who lack the verbal skills necessary to say what they want, feel, or need experience frustration—especially in the period between 8 or 9 months (when babies start to really know what it is they want) and 18 to 24 months (when they typically start to speak their mind). In other words, if basic sign language can help babies use their hands to better express themselves at as early as 8 or 9 months, it can mean the bridging of this otherwise months long communication gap. Fun for all. Signing with babies can also offer an opportunity for plenty of positive interaction, and anything that increases parent baby bonding is a good thing in our book. One creative idea we love: Start learning and adding signs to your musical repertoire of popular baby songs such as Twinkle Twinkle and Old MacDonald. Long story short, if you approach signing with your baby as an interactive and rewarding activity, then it’s guaranteed to be all for fun and fun for all. In fact, if it’s not fun, then you shouldn’t be doing it. There’s nothing wrong with teaching young children to “recite” the ABCs of sign language, but the most useful signs—especially for infants and toddlers—are going to be those that convey more than just the letters of the alphabet. Signs you’ll want to start with are those that are the most meaningful or serve to describe the things your baby most often sees, does, or wants. The following is a list of favorites we’ve put together in order to give you a better feel for some common signs of the early childhood times. Start by learning these and you’re sure to get the conversation started: airplane, baby, ball, bird, blanket, book, cat, cup, cold, daddy, diaper, dog, done, drink, eat, go, good night, happy, help, hot, hurt, I love you, milk, mommy, more, nap, no, outside, please, sit, sleep, star, thank you, up, water. While signing isn’t exactly a must for new parents, it isn’t exactly difficult to learn, either. Books and videos on baby signing abound, and it’s easy to see why so many parents swear by it, why child care centers include it in their infant and toddler classrooms, and why it has become so commonplace as an activity of daily learning. Here are some big-picture tips to get you started. Be patient. The baby-signing trend is based on the observation that babies taught simple signs at 6 or 7 months of age could begin using them to communicate at as early as 8 or 9 months. While there’s no reason you have to wait until your baby turns 6 months to get started, we encourage you to be realistic in your expectations for any true signs of success. Speak up. Be sure you don’t cut back on the amount of time you spend talking with your baby. As long as signing does not take the place of speaking, it won’t get in the way of your baby’s learning to talk with her words as well as her hands. Make it a habit. As with much of the learning your baby will be doing, repetition is key. For a better shot at success, make signing a daily habit, not a one-time lesson. Sign it like you see it. Use signs to describe routine activities and common objects that make up your baby’s world. Don’t be heavy handed. 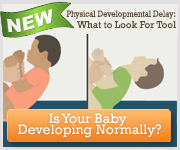 Don’t worry if your baby doesn’t get the signs quite right or doesn’t pick them up right away. Remember the goal here is to have fun communicating and lessen frustration, not add to it! Share your signs. Be sure you share your signs with your baby’s other caregivers so that everyone can join in on (and understand) the conversation once your baby begins to sign. And if your baby’s child care provider is going to be the one teaching your baby sign language, be sure to ask for a quick tutorial so you will understand what your baby wants when she starts signing to you!